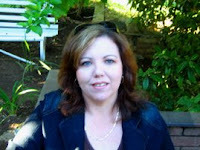 Deborah over at "Between Dollas ~ Deborah's Encouragement" is doing a new blog series on Women of the Word. I'm honored to be her first woman interviewed! Go here to read all about it. Deborah is a wonderful woman of God living in South Africa. Part of me is jealous! Yes, I blogged yesterday about living in paradise and she called me "Paradise Dweller" today and I just realized the initials PD could signify Pastor Deanna OR Paradise Dweller! How cool is THAT? LOL Anyway, I'm a little jealous that she's also living in one of my fav places. Many of you know, a piece of my heart is in Africa. Deborah has been one of those people the last few years on the web who HAS truly been an encouragement to me...a real woman who opens her heart and shares openly and loves extravagantly so much you can feel it across the thousands of miles that separate us. Read your interview and must say it was good reading.